If ever there was the quintessential definition of the word epic, the Race Across America would come dang close. Simply put, RAAM is a beast. The statistics and logistics for this race almost escape comprehension. The object is to literally race across the United States of America, coast-to-coast, non-stop, over 3000 miles! This June, Team Strong Heart in its quest to fulfill its pledge to Camp Odayin is going to take on this beast and do it in honor of the kids at Camp Odayin. It is the Team Strong Heart mission and pledge to raise awareness for Camp Odayin and donate funding to support services for the campers. 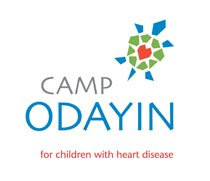 The kids that use the Camp Odayin services are extraordinary, each of them has experienced heart disease in some form. Camp Odayin is extraordinary as well. Outside of a $25 registration fee, camp services are provided at no cost to the families of these children. At Camp Odayin the motto is: Kids play, worries rest, fun happens. 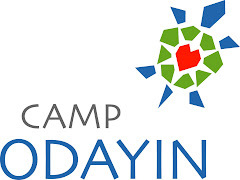 Team Strong Heart wholeheartedly supports Camp Odayin. For the 2008 RAAM race Team Strong Heart will be represented by two squads. Tim Case, returning member of the 2007 four-man team will compete as a soloist. As if RAAM were not beastly enough, Tim is going to take on this Goliath on his own! 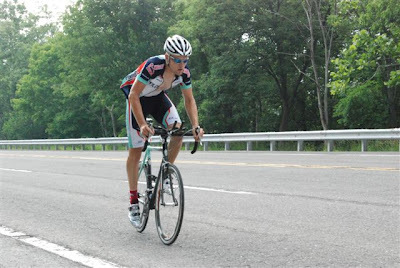 Tim will rely on his racing background and his previous RAAM experience when he takes on this massive task. You can support Tim and follow his preparations by clicking here. 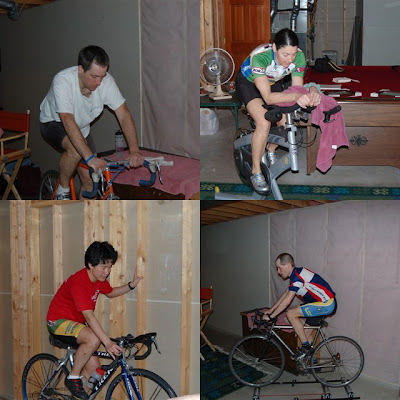 The second squad is a four-person mixed team made up of RAAM newcomers Amy Xu, Melinda Silbernick, John Rotach, and Jay Thompson. Each of these cyclists have years of riding and racing experience and hope to combine these experiences to work as a team to take on RAAM. Each team will be challenged by a week or more of non-stop riding. Together with their crews they will traverse 13 states and make their way from the start at Oceanside, California to the finish in Annapolis, Maryland. Along the way each squad will have to acclimate to non-stop travel as they try to work, eat, rest, recover, and RACE! We hope that you will find Team Strong Heart interesting and inspiring enough to continue following our preparations and progress as the 2008 RAAM race approaches. It is out goal to gain your support as we work toward accomplishing our mission for Camp Odayin. Please check back often to read updates and hear news about Team Strong Heart. Team Strong Heart is having a raffle. Please support us by buying a ticket (or more). Tickets can be purchased for $5 each from Team Strong Heart members. I will be happy to see that you have an opportunity to purchase a TSH raffle ticket. Thank You!! This was a fun and interesting exercise. Good team building as we all were thrown into the basement together for 12 hours. The plan going in was to be “on” the first 4 hours, try to sleep the next 4 and then finish “on” for the last 4. On would mean ride for 30 minutes at a decent effort, then rest 30 minutes. Repeat this for the 4 hour shift. After the 1st two 30 minute efforts we realized this was much too long. Especially riding inside. After 15 minutes of riding we were counting every minute until we hit 30. When we were off, after about 15-20 minutes we were restless and ready to ride again. And getting back on after 30 minutes off had us completely warming up all over again. After the 1st two 30 minute on/off efforts we decided to go to a 15/15 format. This seemed to work much better as we were able to go hard for 15 without burning up and 15 off the bike seemed to balance well the rest time with the concern of staying warm. After talking with Bernie and Neil we realized that this is what they ended up doing (for the most part) during their race last year. They traded 5 mile efforts which ended up right around 15 minutes. Neil and Bill showed up for the first 4-hour session and were very supportive. Neil is always a joy to ride with and Bill is a wealth of knowledge, offered great conversation and was the only one to think of taking pictures. Thank you to both of you. Sleeping and eating on this journey will be exercises in adaptation and even this small circus allowed us to test a little bit. Rotisserie chicken and summer sausage will probably not be on the menu during the race. Keeping fluids going was a concern riding inside and gave us an idea of what we’ll have to be drinking out on the road. All-in-all this training session was a good thing. It’ll be great to get outside and do some riding in this format to really test it out. The team held together well in their first “stress test”. Tim Case Interview in the Clear Creek Courant! Nice job Tim! Keep 'em spining!